Buried deep in Sunday night’s ratings results there was some very encouraging news for Seven. The share for 7flix was 3.2%. A week earlier it was just 1.0%. Last Thursday 7flix moved from an MPEG4 format to MPEG2. That’s good news for those with “older” units who had been unable to receive the channel. The number of television sets which can now receive 7flix has instantly increased. Movie: Pretty Woman ranked #13 in multichannels last night at 169,000. While engineers are convinced MPEG4 is a more efficient way of broadcasting, the numbers tell a different story for now. If Seven can attract upwards of a 3% share for the channel on continued nights, it may position the overall network into a pretty unbeatable position. When networks rank close on primary channels it’s the multichannels that push a network over the line. The change to MPEG2 does not change the areas into which 7flix is broadcast. This is regressive. More channels should be switching from MPEG2 to MPEG4, not the other way around! Their numbers will drop, mark my words. 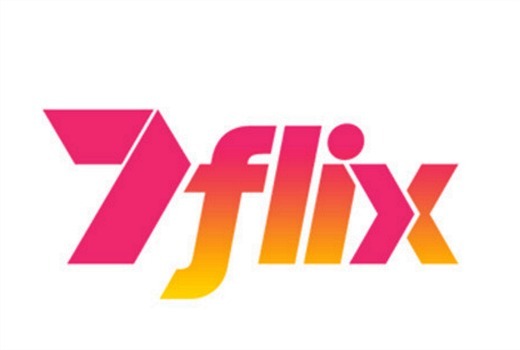 7Flix launched strong, but quickly died down. Why should we expect this to be any different? They did a mini-advertising campaign for this, that’s why the numbers went up, just wait a week and they’ll roughly be where they were before. Totally disappointed in Channel 7 for taking a step backwards. Whilst I do support the idea of moving forward with new technology it is not just 8-10 year old televisions that have problems with MPEG-4. I purchased a relatively expensive display less than twelve months ago (well known brand, $2,000.00 price tag) and it could not pick up the Mpeg-4 version of 7-Flix. I think it is comparatively few televisions even of the newer variety that can display mpeg-4 transmissions. Still waiting for Prime to pull the finger out, so to speak. Not happy about missing those Who’s The Boss reruns. I have to laugh, I’ve no idea what everyone is talking about, it’s way above my head. Thank goodness I’m not addicted to television. And then, to knock the whole premise of this article and the retrograde conversion to MPEG2.. in come Monday’s ratings for 7 Flix. It only scored 0.9% . Last Monday, as a MPEG4 channel, it scored 1.1%. It’s not appropriate to look at one night’s ratings. Especially given “Pretty Woman”always rates well, no matter how many times it’s shown. In fact it rated much better on 7Two not long ago. Also 7 has been flogging 7Flix to death over the weekend. So there would have to be some fresh interest in checking out the channel. Especially among those now seeing it for the first time. Content is king, but I think you already know this. Pretty Woman was one of the movies in 7Flix’s first weeks, so the cycle begins again. It appears to have had only 2 major advertisers whose ads were in nearly every break with “top n tail” or “echo” packs.. Many ad-breaks only had 4 ads which may have reduced the “turn-off” factor. 0.9% Monday night. The share relates more to content. Yes Sunday’s lift only highlights where it is let down by content on other nights. Same goes for me. I record 95% of my FTA viewing to watch later. If the PVR can’t get the channel, we don’t watch it. No real need to rush out and buy new equipment. Before the 7flix switch, if I there was a show that I wanted to watch, I’d source it elsewhere. Topfield have just released a software patch to address MP4 problems in their PVR’s manufactured in the last 4 years. You could check out your PVR maker. Ours was the opposite issue. The PVR is newer than the TV and so could pick up 7flix, but not the TV directly. As a work around, we can watch or record the channel via the PVR, but not through the TV which we use more often because the picture quality is better. It’s small-minded to call people ‘lazy’ or ‘cheap’ or label them a luddite because they don’t invest in the latest technology craze. We are such an unnecessarily wasteful society. Every few years there’s some new thing tv or phone to buy or else yours is considered obsolete. But the fact is that not everyone buys into that. Some people have an old tv. If they wana watch it they turn it on and it works. It may not have the latest resolution or definition or whatever, and they’re just fine with that. Not everyone needs the latest thing that advertisers tell them they do. Well I’d hardly call digital/HD tv a “craze” but fair enough not everyone wants to buy a new tv. I do however think that if you are unwilling to invest in new technology you should not expect to get all the new services/channels that come with it. Thanks for this comment. It would be nice to be well-off enough to ditch a perfectly-functioning appliance just to gain another channel, but it is not realistic (or ecologically responsible). Most people who couldn’t get 7flix just accepted it, and never really missed it, but the lack of reach was clearly reflected in the ratings. That is Channel 7’s problem, not the viewers, and they have moved to fix it, to increase their ratings. Wise move. That explains the service change message on my PVR and why I couldn’t work out what had changed, as I had already been able to access it. Hope this means it’ll be on IQ3 terrestrial feed soon. I would expect them to be watching with interest. 9Life is not MPEG4. Its always been MPEG2. Wrong James. 7HD, 9HD, 10HD, 9Life and some of the datacasting channels (Racing.com for eg) are MPEG4. My point was whether 9 would look at a change. Actually.. glennc, you’re not 100% right either. 9Life is only MPEG4 through WIN in regional markets. Last time I checked, it was still MPEG2 in the metros. PJC, if that’s the case, fair enough. Thanks. Maev, be interesting to see where it goes during the week. Problem I see is that 7flix is very light on programming wise, old movies on high rotation doesn’t necessarily rate highly. Obviously Pretty Woman does! It would be great if it was available in Tasmania, but apparently according to Southern Cross it is too expensive. Maybe if they dropped their shopping network show it would work. Well said Laurie – to address that person below, MPEG4 is anything but a lemon. Working in the comms field, MPEG4 video compression is a god-send and a life saver (lets not get started on how awesome h264/5 is) and the fact that I can create beautiful 1080HD videos that are the same size or smaller than SD video clips make it the compression go-to option. If your locked out, look for way to get in, rather than getting the locked out content to come out. MPEG-4 is a lemon. It is effectively a gated community within the TV landscape and the vast majority is locked out. I’m glad to see Seven reacting to my criticism of MPEG-4 on this blog, hopefully all the other MPEG-4 channels will now switch to MPEG-2 as well so we can finally watch them. You must have some influence in the TV industry for Seven to change back !! Tough comment. I am surprised with an attitude like that you even have colour TV. Maybe you can petition against the proliferation of debit cards and start a movement to get cash back as the main payment source too.. or bartering/trading? How laughable is that comment!! “the vast majority is locked out”….go buy a TV thats not 5-10 years old and you will be able to view easily….Or if your too much of a cheap a*** go and buy a Set Top Box. MPEG-4 isnt going anywhere and is here to stay. I had a 2008 DTV that couldn’t get MPEG-4 channels, which wasn’t an issue until 7flix and the other MPEG-4 channels started up. But instead of wishing MPEG-4 would go away I recently bought a new MPEG-4 DTV, and I couldn’t be happier. It’s much thinner, much lighter, and has a bigger, better screen. And it cost only half what my 2008 model did. Stop whining and just buy a new TV, they’re cheap as chips and are much better than the first generation of MPEG-2 DTVs from 8-10 years ago. The days when you used a TV for 15+ years are over, nowadays the technology is advancing at the rate of computers (which is what TVs today really are). If you’ve had a DTV for 8-10 years it’s time to upgrade, you’ll really notice the difference. It’s a shame the government didn’t mandate h264 as a requirement for digital equipment years ago. We might have this fragmentation issue if they had. Any news on whether Ten/Win will add another channel? Still say a crime channel is worth a try. They have access to some great CBS shows. Not yet. They definitely need another to remain competitive. Lean upon all that Foxtel stuff. So not yet on Foxtel satellite! Ratings would surely jump even further if it was as, like me, many people watch FTA television via the Foxtel/Austar facility so we can record it. I’m still a bit disappointed with the daytime programming. Especially on weekends with really old tv shows. Different Strokes was ok, but now I’m over it. I don’t like Just Shoot Me etc.